Geography: North West, Cheshire. Part of the Warrington council area. Main population centres: Warrington, Lymm. Profile: Warrington is a former industrial town on the Mersey, between Liverpool and Manchester. It was designated as a newtown in the 1960s and has grown massively since, with huge new housing developments, partially built on the sites of the former munitions factories and defence establishments that used to be here. Warrington South includes the town south of the Mersey and the town centre, Great Sankey and Penketh areas to the north of the river. The seat also includes the large village of Lymm to the east of the town. Politics: Warrington South is the more competitive of the two Warrington seats, with more middle class and professional areas. It was held by Labour between 1992 and 2010 but won back by the Conservatives in 2010 despite also being targetted by the Liberal Democrats in a three way fight. DAVID MOWAT (Conservative) Born 1957, Rugby. Educated at Lawrence Sheriff School and Imperial College. Former chartered accountant and managing partner at Accenture. First elected as MP for Warrington South in 2010. DAVID MOWAT (Conservative) See above. NICK BENT (Labour) Educated at Oxford University. Public affairs director and an associate at Demos. Former special advisor to Tessa Jowell.. Contested Warrington South 2010. BOB BARR (Liberal Democrat) Educated at Durham University. Geographic information consultant and former academic. Warrington councillor since 2006. Awarded the OBE in 2006 for services to geography. MAL LINGLEY (UKIP) Educated at Nottingham University. Formerly ran a financial services business. Former Warrington councillor for the Conservatives. STEPHANIE DAVIES (Green) Contested Warrington South 2010. KEVIN BENNETT (TUSC) Warrington councillor, originally elected for the Labour party. I don’t think that’s particularly unusual. For at least a decade & a half some of the middle-class areas within this seat such as Stockton Heath have elected Lib Dem local councillors but voted Conservative in general elections. Labour will win this one back. I expected to see some reference to Ashcroft’s poll here. It looks a Labour cert to me now, despite all the references to posh parts, above, with a big shift from LD back to Lab and a bigger UKIP vote. I would be interested in views by those of you with local knowledge. I must admit I’ve always been puzzled by how much the Conservatives have underperformed here. This is a pretty comfortably off seat with high levels of owner-occupation (75%) and a large professional/administrative/managerial element (38%). Public sector workers are if anything underrepresented and it is surely stretching it to posit some kind of ‘Liverpool factor’. And yet the Conservatives have never really lived up to that notional 1979 majority of 7000+. Well the references to the posh parts are justified. This is by and large a middle-class seat in which the Conservatives have nevertheless underperformed. I would be interested to know why they have not lived up to the 7200 notional majority from 1979. The Greens took the rest. Lab gain 3000 majority- Ashcroft poll was very grim here and there is a long history of Con underperformance in what is in many ways a demographically promising seat for them. Sort of amazing the the Tories held here, Weaver Vale and Crewe and Nantwich while losing Wirral West and the City of Chester. The latter two both have the Merseyside Effect I think. Wirral West certainly does. Chester is more debatable though I now accept there is a case for it. Warrington is booming and there is a strong private sector middle-class here these days. It’s the kind of northern seat where the Conservatives can potentially get onto the front foot- in start contrast to Wirral West. Why isn’t the ‘Merseyside Effect’ appear to be acting in either Warrington South or Weaver Vale (I know nothing about the area). Well, I guess it’s because it can only radiate so far and in semi-rural Cheshire it will meet a pretty immoveable object in any event. Oddly enough, Labour registered their highest number of votes in a seat they didn’t win in this constituency. I, for one, wouldn’t have guessed it would have been here before the election. The lib dem fall here (28% to 5.6%) is huge – where had the largest drop in lib dem share/voters? Previously the record was Plymouth Devonport in 1992 with 29%. where Michael Moore suffered a huge reversal. ”I think we were helped by the fact Thangam was a very strong candidate lots of real world experience performed well at hustings (there were lots of them in such an academic constituency) etc. But agreed we did better than ”I thought we would. I kept having to go over to Clifton table to make sure what I was seeing was actually true. Places like Ashley and Bishopston were not even close in addition to comfortable victories in the inner city. I think alot of people voted for green councillors and a Labour MP judging by the difference in the council elections. Loyal Red – Thanks for your analysis. Excellent Tory result here really. The vote share increase was very impressive for David Mowat and I think a good deal of the large Lib Dem vote was obviously right-leaning perhaps explaining their huge collapse in what was now a straight fight between the Tories and Labour, with them having failed to move into second place at least in 2010. The Results- I agree. In fact I think Labour might start having some problems in this seat before long. As I have said upthread Warrington has a very strong private sector and this seat, is now home to relatively high proportions of private sector managers and professionals who tend to be more Conservative-inclined (if not necessarily as Conservative-inclined as their southern counterparts). What exactly is “the Merseyside effect”? Cultural influence from Liverpool having a general effect on the demographics of places geographically close or not too far away. and by cultural influence I presume you mean a culture of tory bashing (or the spread of the scouse accent)? It’s a subset of the general observation that people tend to centre on the local cultural norm. It’s a commonplace that seats with the same demography are much less Conservative in the north than in the south, and that Merseyside and South Essex are the two outliers. I think economics have something to do with it. You’ll have wealthy sixty-somethings in places like West Kirby and Formy still voting Tory, but I’d imagine that a lot of their children, who they’ll have sent to the likes of Merchant Taylors and Birkenhead School will now be living down south (and possibly voting Tory themselves) because that’s where the opportunities tend to be particularly in the private sector. Well I have to say I can already tell what the boundary review will propose here, add Bewsey and Whitecross to Warrington North. I think cases such as that one were noted last time, and I guess the Commission will be doing what they can to avoid it. But the +/- 5% rule boxes them in sometimes. It could be avoided in this instance very easily it would just require one Warrington ward to be placed in another constituency, while I accept its preferable to keep seats within one local authority there are enough cross council seats that its not really a major deal having another one here, I know the area well and in some of the villages and suburbs south of the canal folks already say they live in Cheshire rather than Warrington so I doubt they’d care. I think the problems of removing Bewsey are overrated. All it would mean is that the MP would briefly go through a bit of what would be Warrington North to get from Latchford to Great Sankey- we’re hardly talking about a Mersey Banks scenario. Speaking personally, I would much rather have Lymm et al paired with Frodsham, Weaverham and Marbury in a NW Cheshire seat but the Commission is fixated with boroughs. I do agree with Rivers 10 about the likely partisan effect- you’d be looking at a notional Conservative majority of 5000-5500 in an area where white collar private sector employment is looking increasingly robust. Labour would have real problems in my view. I should put on the record I’m not one of those people who REALLY care about maintaining local links and stuff, if it was down to me I’d have boundaries drawn via computer algorithm and if that means pairing several streets in Warrington with central Birmingham I honestly wouldn’t care that much. But that’s besides the point, my concern is about consistency. 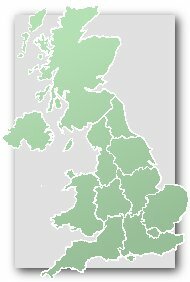 I made a similar point on the Lancaster and Fleetwood thread (by all means respond to the questions I posed there) that I’m a wee bit suspicious of the BC because in the last set of proposals they seemed to go to extreme lengths (often resulting in some very dodgy seats) to preserve or create Tory seats while no such courtesy was extended to Labour, for them to (probably) propose some dodgy boundaries for Warrington South ignoring the obvious geographical concerns while in the past they have rejected other proposals (that just so happened to be detrimental to the Tories) on (in my opinion) much flimsier geographical objections. It just stinks a bit to me. As I said on the Lancaster thread I’ll reserve judgment until I see what they propose but I’m wary to say the least. FWIW I’ve been playing around with the boundary assistant and there are other permeations that fit within the quota, avoids the requirement for a cross borough seat and avoids any geographical quirks, it even keeps both Great Sankey Wards and both Latchford wards in the same seats. It just requires Warrington be split East/West rather than North/South, I highly doubt it will happen the BC will probably claim its too “disruptive” which will be a relief for local Tories as I believe both seats would become reliably Labour. An east-west split makes even less sense than north-south. I think it would be rather funny to revive the old Newton constituency. Why would an east/west split not make sense? I mean I suppose you could cite the canal or the river Mersey but that’s not really much of a boundary, Warrington South currently has substantial territory on either side of both. Because you’d be splitting up communities which have featured quite reasonably in the same seats for a long time- Stockton Heath, Lymm, Grappenhall etc. I suspect the Commission will go with the simpler option of removing Bewsey. Don’t get me wrong I agree the BC will likely go with the Bewsey option (I said as such in an earlier post) I just find it slightly irksome that they’ll do it despite the geographical considerations and despite other very reasonable options being on the table. I don’t buy the argument you’ve outlined, the BC pretty much always adopt some radical changes in a review that pry apart wards that have co-existed together for years. In the last proposal alone the BC suggested that both Portsmouth and Derby should move from their traditional north/south split to east/west. More than 263,000 voters living overseas will be registered at this election. Compared with 105,000 in 2015 and under 33,000 in 2010. This MP mentioned there were, “a couple of hundred” here. Very popular Cons Cllr Sheila Woodyatt has died, aged 80. She had been a Cllr for almost 40 years and was previous Mayor of Warrington and at one point the sole Conservative Cllr – but she remained vociferous in her beliefs throughout that period. It’s also true that she held surgeries and interviews in her own house and made constituents and journalists alike a pot of tea!